After a relatively light meal at Yo Ramen, Miss Y and I decided to grab some dessert. Yes, you heard me right, for dessert. I think the last time we had sweets in Downtown, she was over an hour late, leaving me to my scones and finger sandwiches at the Fairmont Hotel Vancouver. With that clearly in my various nightmares, I was happy that the timing was under my control as I was driving. 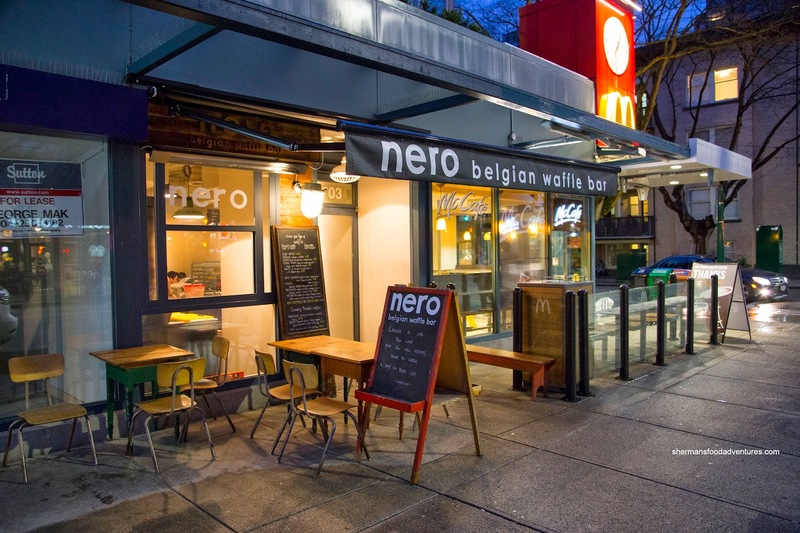 And there I drove all way down Robson to Nero Belgian Waffle Bar. Luckily for us, we were early enough to score a table as a lineup quickly ensued (there are only like 6 tables). We decided on the Dame Blanche and the Heaven. 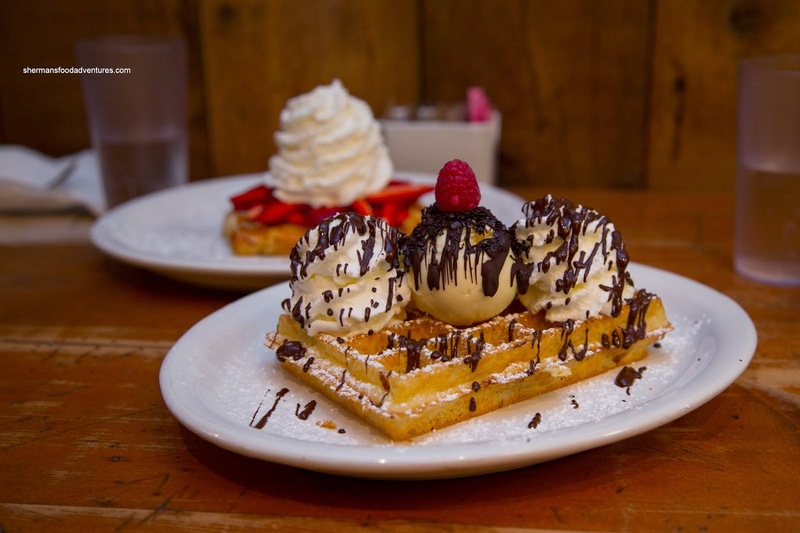 The Dame Blanche consisted of vanilla ice cream, whipped cream and dark Belgian chocolate on our choice of a Brussels waffle. As advertised, the waffle was airy and light while super crispy. It wasn't incredibly sweet which was a good thing as the chocolate and ice cream made up for it. I would've liked to see more bitterness with the chocolate though. Miss Y liked how there was just enough of it. 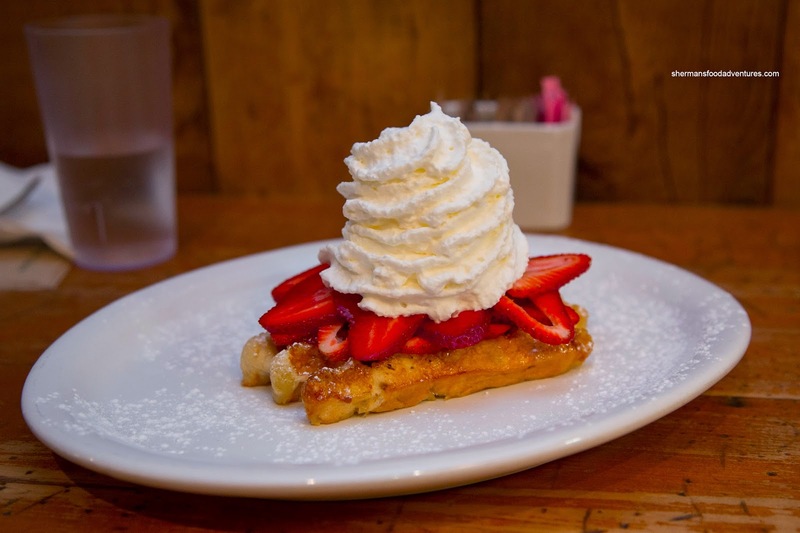 Next, the Heaven was simply sliced strawberries and whipped cream. We selected the Liege waffle for this. It was effectively sweeter due to the sugar content with a nice chewy texture with pockets of crunch. This went well with the lighter and milder tasting ingredients. With the 2 waffles we tried, we were sufficiently impressed with the overall quality and execution. It was something that was memorable enough that warranted return visits.